Cure those under eye circles! Concealer can hide a multitude of things. Most people use concealer to even out their skin tone, lighten dark circles under the eyes, cover scars and discolorations, hide minor breakouts, cover birthmarks and more. I was never really a user of concealer until recently. I noticed about two years ago that the area under my eyes was starting to get a little dark. I invested in a good serum that contained a healthy dose of vitamin C (antioxidants!) which is known to even out blotchy or uneven skin tones. Although this was helpful, the area under my eyes was still a bit darker than the rest of my face. Reluctantly, I broke down and invested in a good concealer. All my life I have been trying to fight the signs of aging. I got involved with the skincare industry very early on. I did my research, used the best anti-aging ‘redhead friendly’ skincare products I could find and made sure I tended to my skin from head to toe daily. With it being the largest organ of our body, it is extremely important to do whatever it takes to not just make sure your skin is healthy but also make sure you can slow down the signs of aging if possible. One of the biggest problems most people have is they don’t keep their skin hydrated. The result of not giving our skin the proper necessities it needs to keep it looking its best can result in things like fine lines, dark circles, an uneven skin tone, breakouts and more. It can be very frustrating when your mind and body feel younger than your skin looks. 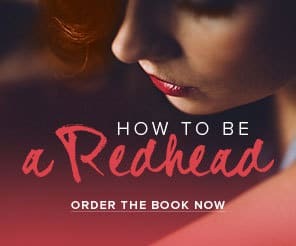 When this happens, we tend to fall back on one of our favorite friends: our ‘redhead friendly’ concealer. 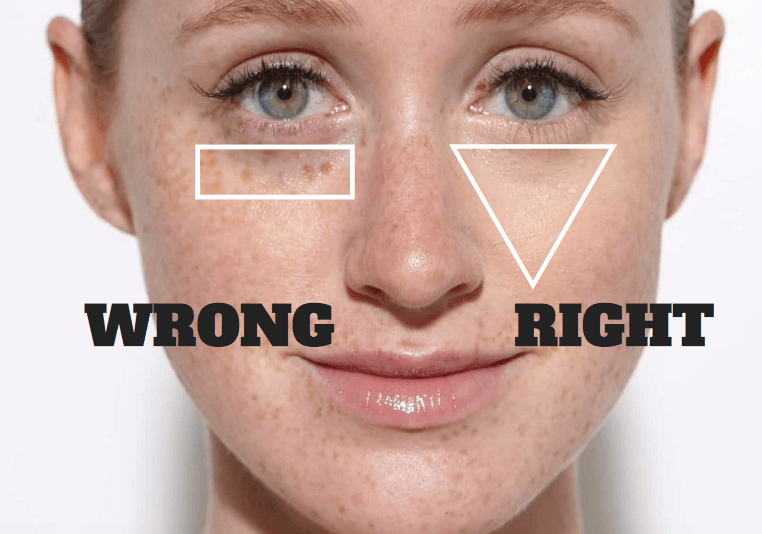 Redhead Concealer Search Tip #1: Not all concealers contain safe ingredients, especially for areas around the eyes. Check the ingredients before purchasing. Avoid additives that can cause irritation. Redhead Concealer Search Tip #2: If you choose to use a tinted concealer (dry or liquid), apply and blend before applying your foundation. Redhead Concealer Search Tip #3: Many makeup companies offer concealers to match their foundations. Put on a bit of your foundation on the testing area (usually the area near the wrist) when testing. Then, put the testing concealer over it. This is a good way to compare concealer shades more accurately. 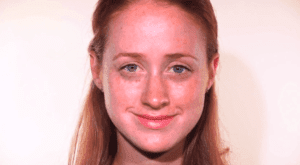 Redhead Concealer Search Tip #4: Your concealer should be ONE shade lighter to cover dark circles under your eyes but should be the SAME color as your foundation to mask acne marks or rosacea. 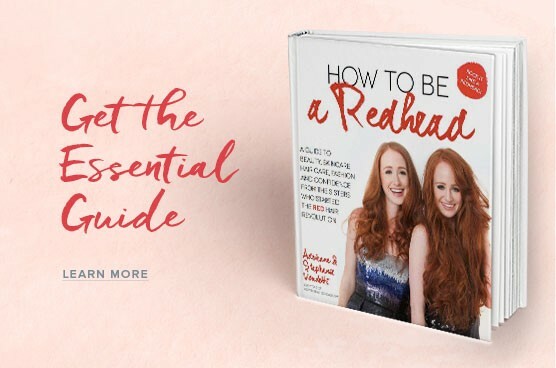 Redhead Concealer Search Tip #5: Many redheads can have a reddish hue (from rosacea or a sunburn) on their face and green concealer works best. 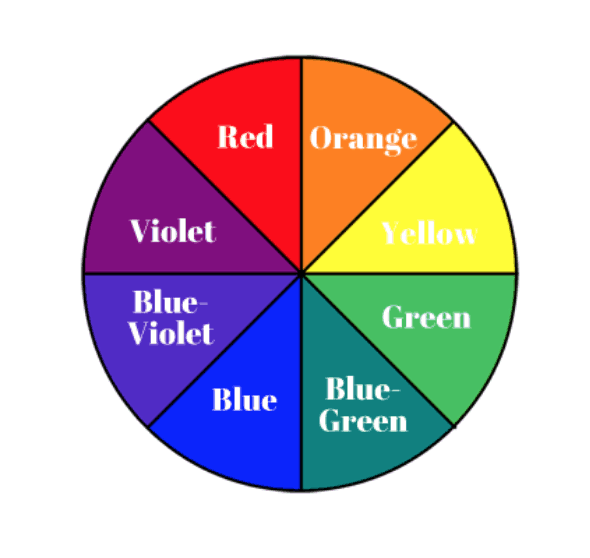 Since red is directly across from green on the color wheel, green will counteract the redness on the skin. Redhead Concealer Search Tip #6: For fair complexions, if you can’t find a green concealer, the next best trick is to use a pink-toned creamy concealer to counteract the purple or blue undertones. Concealer tends to contain fewer oils and/or water, which can make them heavier. Never “rub” concealer in or on as it can tug and pull at sensitive, thin-skinned areas. Always pat lightly. The words “tap-tap-tap” should go through your head during the entire process. 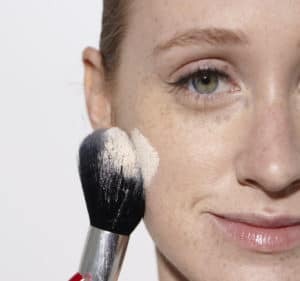 Powder concealers should be used before applying foundation, but cream and liquid concealers work and stay best OVER foundation. Use a magnifying mirror so you can see exactly where the concealer needs to go. The applicator in many concealers holds A LOT of product. You don’t want to over-do it. Tap the concealer on the back of your hand then use your brush or sponge to pick it up to apply. Get a “runway coverage” by doing the triangle method (see photo below). 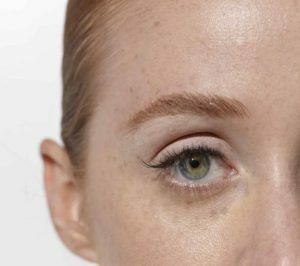 Dot your concealer in the shape of a triangle starting underneath your eye then narrow to come to a point at the top of your cheekbone. This allows the area covered with concealer to flow smoothly into the foundation and avoid raccoon eyes. This coverage is fantastic and stays in place all day. Available in over 20 shades, you are sure to find one that matches your skin tone without a problem. Similar to the texture of Kat Von D’s, this concealer covers really good for the price. The coverage is a little lighter than some wand concealers but it layers easily. Get your undereye problems solved with this high-performance concealer. A little goes a long way! A dewy cult favorite. After applying, grab your powder and dab it gently over the concealer. This will get rid of any shininess. A little goes a long way with this product! This concealer helps to reduce under-eye puffiness and conceal scars and discoloration. You don’t have to twist it up a lot to get the product to the top. This blendable, full-coverage concealer is easy to use and comes in an array of shades. We recommend Chantilly or Vanilla, depending on your skin tone. This soft little non-latex sponge has a gentle point to easily blend your concealer. This item is really a personal preference. Some people like them small, others like the bristles larger. Here are some ‘redhead friendly’ options: e.l.f Concealer Brush, Sephora PRO Precision Concealer Brush #45 and Real Techniques 102 Triangle Concealer Brush. 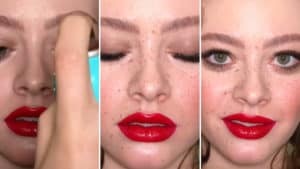 Whether concealer has been an old friend of yours for some time now or even if you are just testing the waters, these tips and ideas will help you get the best natural look while still masking those little imperfections. 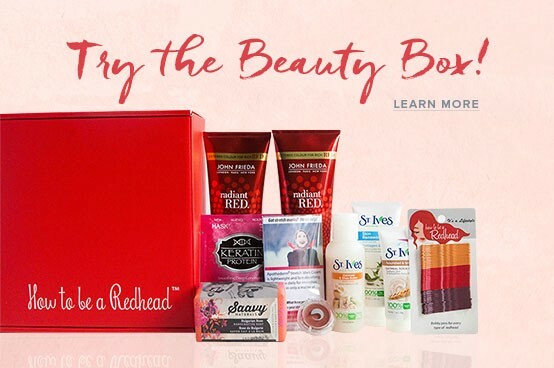 Find the product that works the best for you and apply it the way you feel most comfortable. 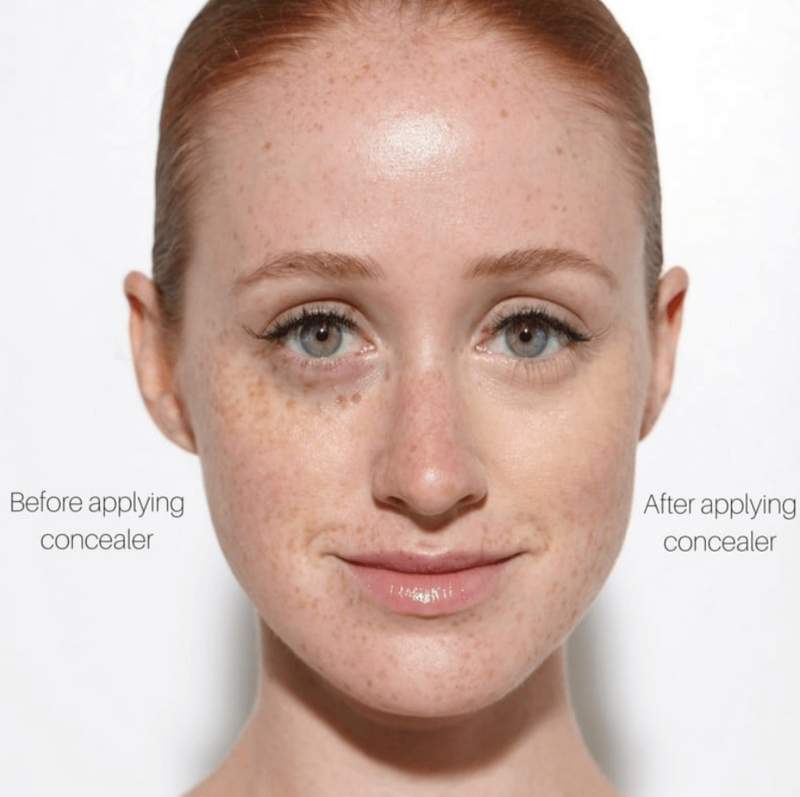 Once you have that mastered, your concealer magic will help to keep you Rockin’ it like a Redhead!